How can I create custom roles with specific access rights? Creating custom roles will unique permissions. The owner, manager, and standard user roles are included as default system roles to accommodate common permissions requirements. With custom roles, it’s possible to create your own specific roles and configure the rights you need for your plan's users. The permissions you select will apply from any platform used for accessing the system,the web, mobile, and API. Go to the Settings (red gear icon) page. Select the Roles tab for your organization. Click Add Role button under the custom role list. After you click the Add Role button you will be taken to a page where you can configure your the custom role. The available permissions are shown as checkboxes, allowing you to permit granular control to certain capabilities in the account. They have also been grouped to help clarify how each option affects the abilities of user that has the custom role. Once you have configured the permissions for the role, click Save to add it to your account’s custom roles. On the same page where you create a new role, instead of selecting Add Role, click ‘Edit’ to the right of the custom role that you would like to edit. After you have created the custom role you can edit members' permissions and grant users that custom role. You can view the details on what each permission does here. 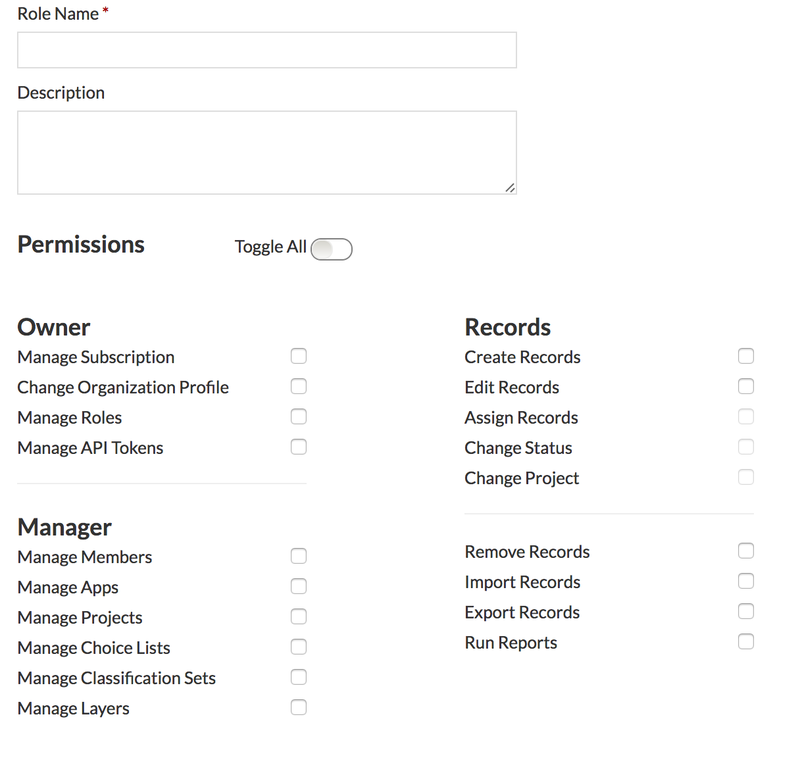 To manage roles for your organization, your user account must be the owner system role, or have a custom role that has the permission 'manage roles'. From the Roles tab you can also designate which role is the default role assigned to new members. 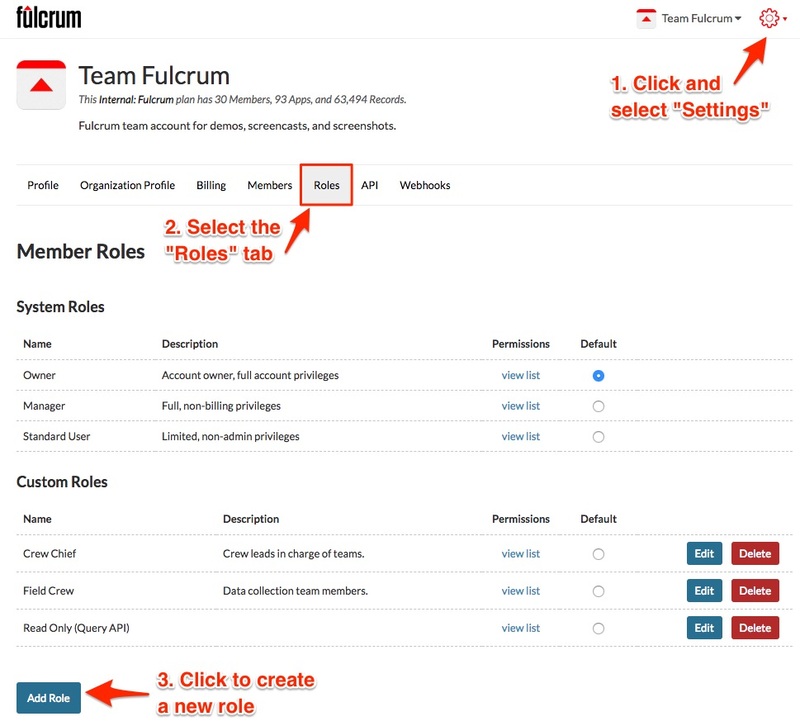 Custom roles are available on select plan types.